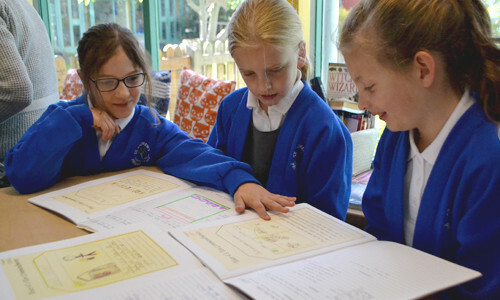 As a church school we embrace the teaching of religious education at St Andrew’s and see it as an opportunity for children to ask questions and learn more about the diverse world around them as well as explore moral and spiritual concepts. As required by the 1988 Education Reform Act, Religious Education is taught in accordance with the Bath and North East Somerset Agreed Syllabus, Awareness, Mystery and Value (AMV). However we also use the resource ‘Discovery RE’ to enhance our teaching. 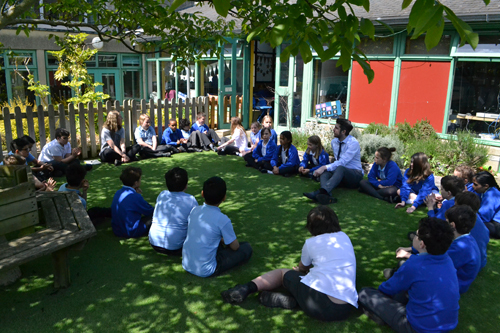 We teach religious education for at least 1 hour a week and draw links with other curriculum subjects. Children are given the opportunity to learn about the six major religions of the world, with at least 3 units per year focusing on the teaching of Christianity. As a church school, we celebrate our Christian Values across all aspects of school life often finding that these are shared with children from other faith traditions. If you have any questions about our scheme of work for RE in school, please do not hesitate to contact us for more information. At St. Andrew’s Collective Worship plays a central role in the life of the school and addresses the moral, spiritual, social and cultural development of the pupils. It provides an opportunity for pupils to create and participate in shared experiences and takes place in a variety of ways for example through song, story, drama, music and poetry. We can reassure parents that St. Andrew’s School exerts no pressure on children to become worshipping Christians or to take part in any activity that will compromise their own beliefs however Christian values are definitely built into our ethos and teaching and are reflected in our daily acts of worship. We consider the example of the life and teachings of Jesus Christ to be our model for living and we consider the Christian message of peace and love to be relevant for all within our community. Tuesday’s worship takes place in Key Stages and sessions are led by class teachers and the children themselves. On Wednesdays we worship through music and song. Our whole school Collective Worship. Thursday’s worship is our achievement and celebration worship and is led by a member of our Church community. Friday’s worship is an achievement and celebration worship. Parents have the right to withdraw their children from R.E or Collective Worship. Please make an appointment to see the Head teacher if you would like to do this.